The winter blues, also known as Seasonal Affective Disorder (SAD), is a very common medical condition that is easily self-diagnosed. In fact, millions may be affected and not know that their negative feelings can be diagnosed. The winter blues may present as feelings of hopelessness, depression, and fatigue, causing one to withdraw from social activities or family contact. ‘Hygge’ may be part of the answer to combating SAD. You may have been hearing more and more about it, but you may not quite understand what it is yet. 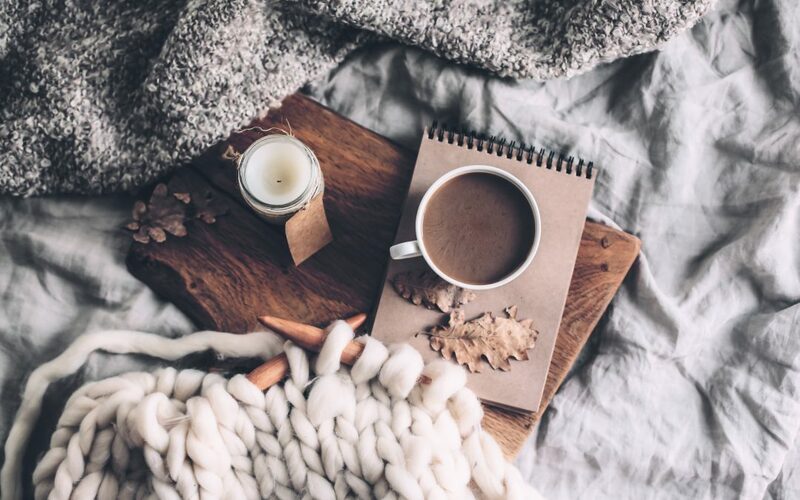 ‘Hygge’ is actually a Danish lifestyle concept that encourages adopting habits that foster a sense of well-being, with an emphasis on coziness and comfort – which is what we need during the cold days of winter. There is also an emphasis on familiarity: in the hygge sense, this means valuing and taking pleasure in experiences that may be considered to be ‘ordinary’. Lower melatonin levels. Melatonin is a hormone that helps regulate sleep and mood. Decreased serotonin levels. Serotonin is a neurotransmitter that regulates mood. Disruption in the circadian rhythm controlling sleep and wake cycles. Traditionally, the medical community has responded with different types of treatments, including light therapy, psych drugs or sleep medications, cognitive behavior therapy, along with regular exercise and outdoor activity. Yet, many people still dread the coming winter months and find it extremely difficult to ‘carry on’ as usual after the summer and fall seasons pass. Hygge has been practiced in Danish culture since the 1800s. The word is derived from the Norwegian word that means well-being. The idea behind hygge is the promotion of a lifestyle that is “cozy and comfortable”. For many Danes, hygge is a way of life – one that embraces cozy comfort in clothing, foods furnishing, and in your daily activities. Drinking warm beverages and eating hot foods. This includes teas, warm milk, and comfort food like casseroles and soups. Creating a cozy, comfortable, and familiar environment by adding pillows and throws to a room, wearing knitted sweaters, and sitting by a fireplace. Curling up with a good book or relaxing to soft music. Bonding and snuggling with family. Venturing outdoors to enjoy green spaces and nature when possible. Only consuming cold foods and beverages. Staying isolated or avoiding family and friends. Allowing your body or environment to become physically cold. Spending an excessive amount of time on cell phones, tablets or other electronics. Making constant purchases just to stay on top of trends in fashion and technology. Setting too many strict rules for yourself and not living in the moment. If you want to practice hygge, then live ‘a simple life’: this means enjoying the things you already have with the people who are closest to you. Taking pleasure in the little things in life can not only increase your happiness, it can also put off the winter blues. Has your home been looking a little smaller lately? If so, it may mean that it’s time to purge your place of all the belongings you don’t need. Getting rid of items is the easiest way to open up your space, whether you own a home or rent an apartment, but it can also be the hardest thing to do. After all, where do you start? How do you determine whether or not you should throw a belonging away, give it away, or sell it? Unfortunately, this may mean being honest with yourself and taking a long, hard look at your habits before parting ways with a trinket. To make the decision a little easier, we’ve compiled a list of 15 things you can get rid of today to declutter your home and reclaim some space. 1- That chair or stool you don’t really use. You know the one we’re talking about! Over time, it’s become a storage space or a dumping ground for laundry. It’s taking up valuable real estate in your home, and if it’s not being used the way it was meant to, it’s probably best to get rid of it. By doing this, you may kill two birds with one stone: you’re both freeing up space and learning to put those wayward items where they belong! 2- Books, DVDs, CDs, and other media. If you own movies, music, books, and other media that is just sitting around, ask yourself when you last touched any of those items. Surely, in your vast collections, there are some you’ve never opened, and some you don’t even like. Save yourself some space and donate to those items to charity or give them to a friend. They may get a second life, and you’ll get back some shelf space for other things. 3- Clothes, accessories, and shoes. This category can cover a lot of ground. If you pile up all the worn-down shoes, ill-fitting clothes, formal wear you’ve only worn once, and never-used accessories, how much space do you gain? It may be a good idea to give these belongings away to create more space for clothes you’ll actually wear, and they can make the life of someone in need so much brighter. 4- Kitchen utensils and appliances, and electronics you never use. Old cell phones, still-packaged appliances, and never-used utensils can collectively take up a lot of space in your cabinets and drawers. Ask yourself how essential having these things around is, and you may find yourself getting back more space than you anticipated. Just remember to dispose of these items correctly! 5- Instruction manuals, old receipts, expired coupons, and old magazines. They may not look like much sitting on the table or hiding in a drawer, but all together, they may be taking up more space than you think. Some, like the expired coupons, have no value to you or anyone else. So just throw them away! 6- Expired food and spices. You may be able to easily tell what food in your fridge has gone bad, but it can be a little harder to tell in your pantry. Check out the expiration dates of all the boxed and jarred food at home, and your spices too: you may be surprised by what you can — and probably should — throw away. 7- Meaningless knick-knacks, souvenirs, and memorabilia. These items may be the hardest to get rid of, as you may be reluctant to throw away anything with a good memory attached to it. But you may find that, in some cases, you can’t even remember where they came from! Display the ones you want to keep, but put the others in a box in storage: you may not be able to part ways with them just yet, but you don’t want them taking up too much valuable space in your house. 8- The excess of arts and crafts items. This means items like that fifth pair of scissors, a nearly-finished roll of wrapping paper, and worn down colored pencils. Even if you have kids, evaluate how often your family uses these items and throw them away if they have fulfilled their purpose. These items are generally replaceable, and you can always buy new ones! 9- Broken things you’ve been meaning to repair. Unless the item is priceless and invaluable to you, if you haven’t fixed a broken item by now, it probably means that you are going to. Remove it from your home to create more space if you feel that you’re never going to use it again. 10- Take out menus. This is a big one! Millions of people have accumulated take-out menus in various drawers in their homes. Some may be from restaurants that they don’t like, and others may be from restaurants that may even be closed! Most menus can be viewed online anyway, nowadays, so do yourself a favor and chuck the paper ones in the trash. 11- Empty storage containers and boxes. Unless you move frequently, you may want to get rid of empty plastic storage containers and cardboard boxes that are taking up space in your home, and even in your garage. If you haven’t found a way to put them to good use recently, it may be time to think about throwing out the boxes and giving away the plastic containers. Know a student going away to college? They may need these items and would appreciate the donation! 12- Expired medications, makeup, and other products. You may be surprised by the short shelf life of some of the items you have in your bathroom cabinets. Expired items used on or in your body can be harmful to your health, so you may want to make it a habit to check the dates of those products every now and then and replace them as you see fit. 13- Wire hangers. For some unknown reason, millions of people keep wire hangers they get from the dry cleaner’s, but don’t actually like the way they look. They accumulate and can start taking over your closet — and you may not even have that many clothes to hang (especially after you’ve purged your wardrobe). Throw away those unsightly wire hangers if they have no purpose, and you may fit so much more in your closet, regardless of its size. 14- Old toys, kids’ clothes, and Halloween costumes. If you’re a parent, you may be reluctant to give away your now-grown kids’ belongings. After all, they can be college-aged and you’ll likely still want to hang onto them, thinking that maybe they’ll be useful in a few years, when your children start having children of their own. But right now, they’re just taking up space. The same goes for kids’ clothes: it’s more likely that they’ll be moth-eaten before they can be used again. As for Halloween costumes, if they haven’t been worn in years, it may be a safe bet that no one will be mad if you throw them away. 15- Last year’s holiday cards. Unless there was a special message included in them, you may feel like it’s safe to throw away holiday cards from previous years. Though holidays only occur a few times a year, they may be taking up space in drawers throughout your home. Go ahead and throw them away, if you’re comfortable with that — it’s unlikely anyone will find out! These are just a few ways you can easily open up the space in your home without committing to major changes to the structure of your house. Still need some tricks? Check out some of the ways you can make a small room look so much bigger! 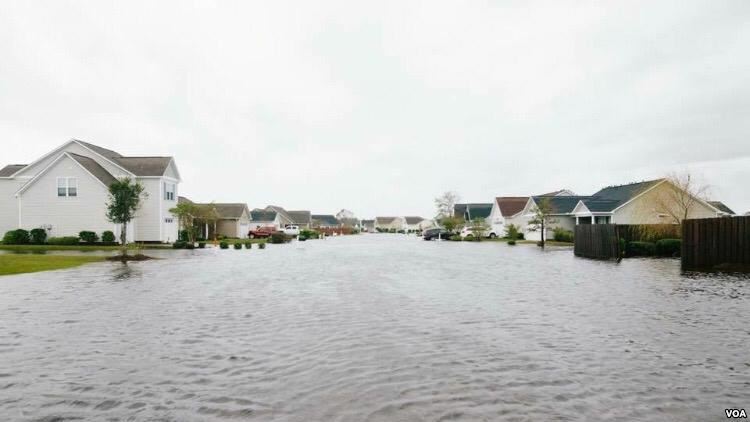 Hurricanes Florence and Michael pummeled parts of the southern US coast, leaving a trail of destruction and forcing millions to pick up the pieces. 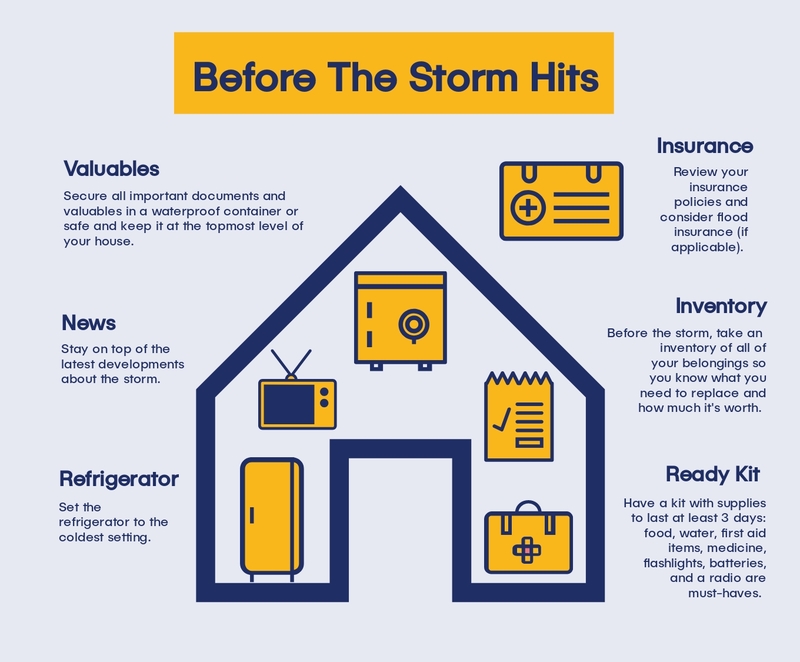 Though these sometimes massive storm systems are unpredictable, hurricane season officially lasts from June 1st until November 30th, which means that there are a couple of weeks remaining for one or more to cause additional damage. 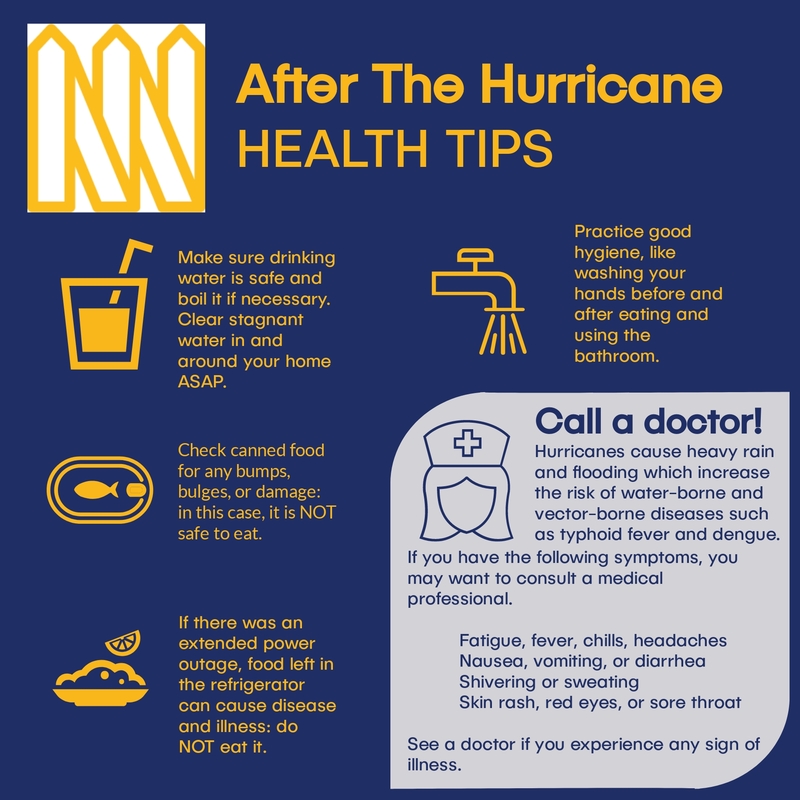 After the storm, there are several precautions you should consider to stay safe, which include determining whether or not your food is still safe to eat. Homes in the United States come in all shapes, colors, and sizes. But if you look closely, you may find some that resemble each other closely. In fact, the rich history of our country has contributed to the popularity of some architectural trends in certain specific, discernible areas and regions. You may not necessarily know them by name, but you may recognize a few of these styles — and perhaps, your own home’s architecture follows one of these trends! Here are eight of some of the most popular house styles in America. Craftsman style homes were most popular from 1905 to the 1930’s. Also called Arts & Crafts homes, the most notable key characteristics of this style include a low-pitched, gable roof, unadorned, massive tapered columns that help support a porch, and exposed rafters. The architectural styles stemmed from a philosophical movement that emphasized handwork and rejected the mass production attributes of the Industrial Revolution. It also rejected the over-decorated aesthetic of the Victorian era. Craftsman style homes can be found all over America, but are most popular in the Western U.S. However, this style has been experiencing a revival since the 1990’s with many homeowners leaning to a minimalistic, simple, and clean design. A ranch-style home is perhaps one of the most recognizable architectural styles in America thanks to its no-frills, low horizontal profile, typically single-story design (although, there are raised ranch-style homes that are two stories). Other typical characteristics of this style include a U- or L-shaped floor plan and attached garages. They were most popular from the 1930’s to the 1960’s, when there was a notable influx of farmers moving to the suburbs. These new homeowners wanted their houses to reflect the simple, informal lifestyle to which they had become accustomed. This architectural style is the most popular in the Sun Belt region, or the Southern tier of the United States. Popular in the 1920’s and 30’s, Mediterranean Revival style homes managed to capture the essence of a Mediterranean villa. People were moving toward embracing and valuing leisure time, and nothing screamed opulence, exoticism, and relaxation more than this style. It became a very popular style in warmer states like Florida and California, which were among the first to develop a tourism industry along the coast. These states also shared a Spanish colonial history, which played a key part in forming the aesthetic of the Mediterranean Revival home.Common features of these homes include low-pitched, red-tiled roofs and a stucco and usually white-painted exterior. This style is neither distinctly Spanish nor Italian, but a mix of both. 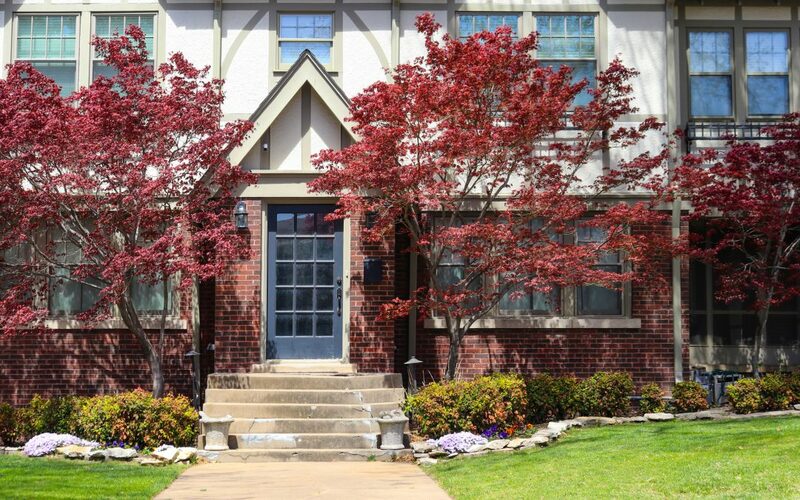 Tudor Revival style homes were popular from 1880 to around 1940, and are mainly characterized by steeply pitched, side gable roofs and decorative half-timbering, narrow multi-light casement windows, and walls of stucco or stone. This style stems from an early English form, which came into vogue thanks to wealthy homeowners who could afford to pay for the decorative stone and brickwork. The Tudor Revival home fell out of style after World War II, when there was a resurgence of American patriotism. Homeowners started leaning toward a more distinctly American design, the Colonial Revival style. Tudor Revival homes were most popular on the East Coast and in the Midwest. As the name suggests, these homes drew inspiration from the style of the typical colonial homes from the Colonial Era in the United States. They were part of a movement that celebrated an American identity after World War II, though they had been popular from 1880 to 1955. Instead of directly copying the style of those older houses, architects decided to mix and match details from several early styles. Typical characteristics of Colonial Revival style houses include a symmetrical facade, a large accented doorway, and evenly spaced 6-over-6 windows. There are millions of examples of this kind of house all over the country. Popular from the 1920’s to the 1940’s, Cape Cod style houses are the most popular — as you maybe guessed it — in the Northeast. This architectural style originated with the colonists who came from England to New England, and is typically a one-story cottage with a loft attic space and a symmetrical window placement on either side of a paneled front door. The houses were designed and built to withstand the region’s stormy weather. The term itself was coined in 1800. The Queen Anne architectural style, sometimes called the Victorian style, is very different from other typically American styles of houses in that it is very ornamental with sculptural shapes. Popular from 1880 to 1910, some key characteristics of the Queen Anne style include the wrap-around front porch (a trait that architects borrowed for other home styles), an asymmetrical facade, bold and unconventional color schemes, classical columns, and round, square, or polygonal towers. Queen Anne homes were a product of the Industrial Age, and ultimately fell out of style with a return to a more simplistic design. A famous example of this kind of house? The Painted Ladies in San Francisco, of course! Mostly built from 1895 to 1950, the Neoclassical style pays homage to classical Greek and Roman architecture, and still shows itself to be related to Colonial Revival architecture. It is characterized by tall, massive columns, Corinthian or Composite capitals, a symmetrical facade, elaborate doorways, and evenly spaced windows. The heaviest concentration of the Neoclassical style of building is in the Northeast. It is a popular one for government buildings and universities, but there are many homes built in this style, too: Thomas Jefferson’s Monticello, in Virginia, is a classic example. Primarily, the style served to show the upward social mobility of the home’s residents. These are only a few of the many styles homes across America are built. Which one does your home have? 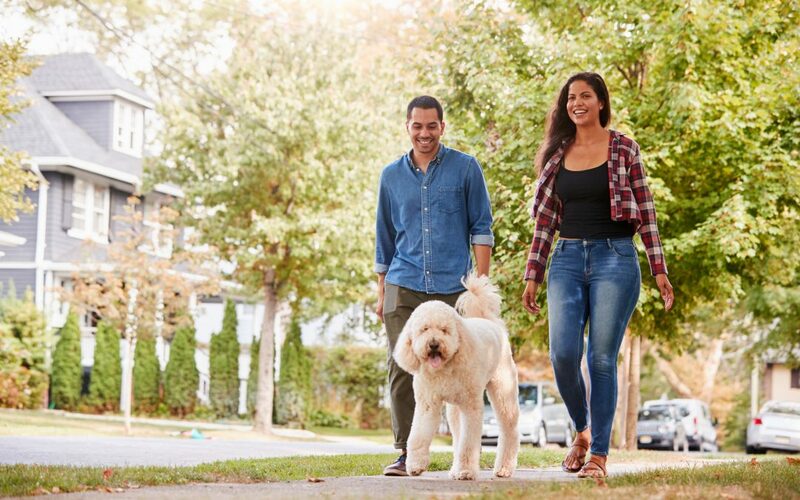 Trying To Find The Best Neighborhood For You? Find It By Using Our Handy Guide! Trying to find a new home can be a trying process, especially if you have your family’s needs to consider. You don’t just want to find a house that feels like home — you want it to be in a neighborhood that allows you to live both comfortably and safely. 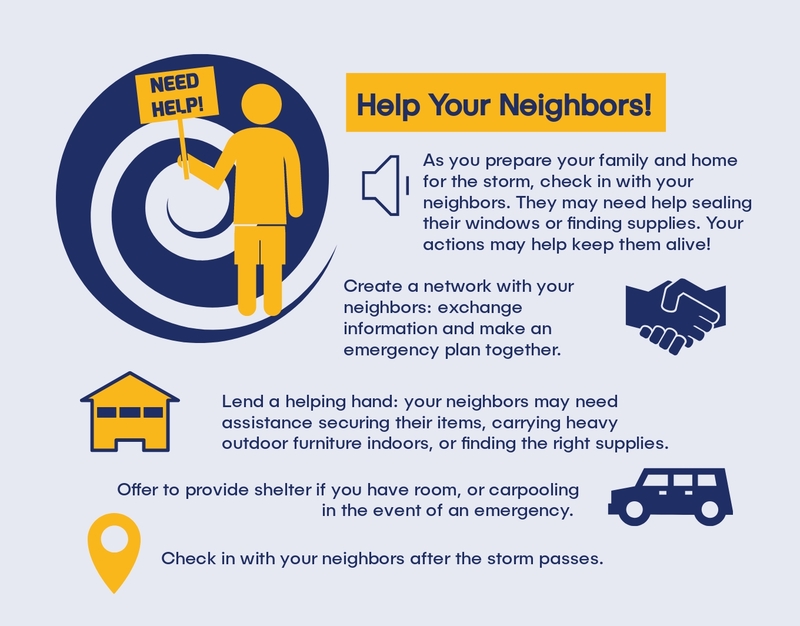 Luckily, NeighborWho has put together a checklist to help you in your search so you can focus on making the right decisions instead of wondering where to start! Before you start looking for a new home in a new neighborhood, when you know that you want to move within the next few months, you may want to have a baseline idea of what you can afford and what you’re looking for. Having a budget is important, since you will likely be taking out a mortgage if you’re trying to buy a home, and you want to account for that and all other living expenses. 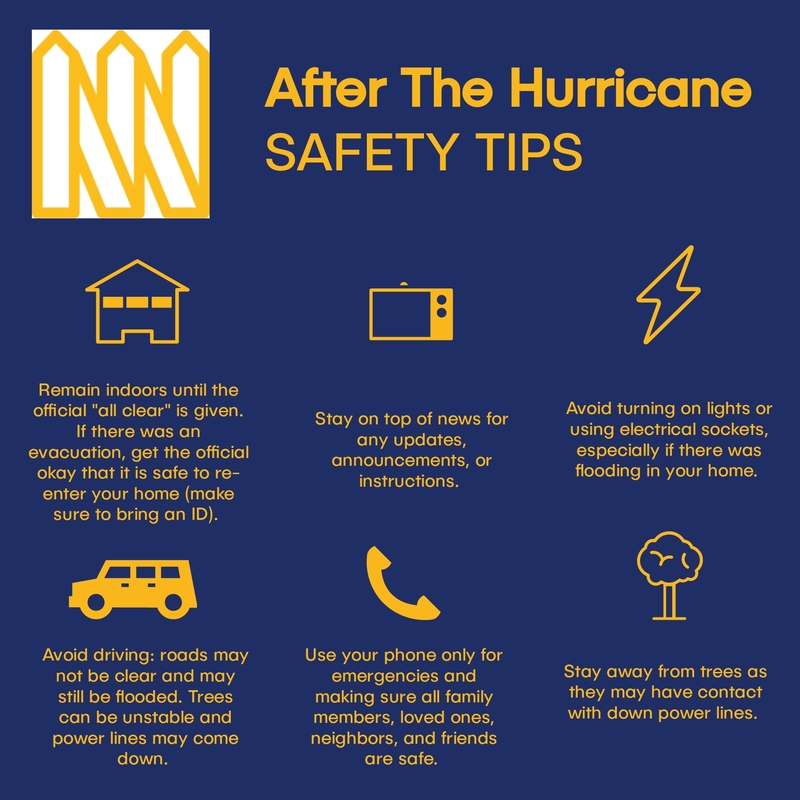 Similarly, make a list of what’s important to you and your family, such as being close to a park, or being in an area with reliable public transportation. Create a list of priority amenities, neighborhood features, and recreational opportunities (bike lanes, park accessibility, entertainment). Once you have an idea, start exploring neighborhoods. Narrowing down the list of places where you may want to live can be difficult when there are so many great neighborhoods, but it may get easier when you start looking at the details. Here are just a few considerations to make when choosing a neighborhood. Accessibility to public transportation: even if you anticipate relying on a car wherever you live, it may be a good idea to live somewhere where public transportation is reliable enough in the event of an emergency. Proximity to highly-rated schools: This is important if you have children, but even if you don’t, you may want to pick a neighborhood based on the quality of the schools nearby: houses in the vicinity tend to be of higher value. Commuting time: Your commute to and from work may take up a significant portion of the day, depending on where you live. Evaluate how long you’re willing to travel — and don’t forget to account for traffic and the cost of tolls and gas! The type of environment: Whether you want to live in the city, the suburbs, or somewhere in between, you should feel content with your choice of environment. A too noisy, or adversely, a too-quiet life may not be your cup of tea. Proximity to amenities: Chances are, you won’t be able to get everything you want in one square mile, or even in the same neighborhood. But you may want to pick a community where most of what you want is quickly accessible either by foot or by car. There may be a grocery store around the corner, but the dry cleaners is fifteen minutes away! Check your list of priority amenities for a better evaluation of a neighborhood. Community: Do you want to live in a tight-knit community? Or would you prefer to stay anonymous? 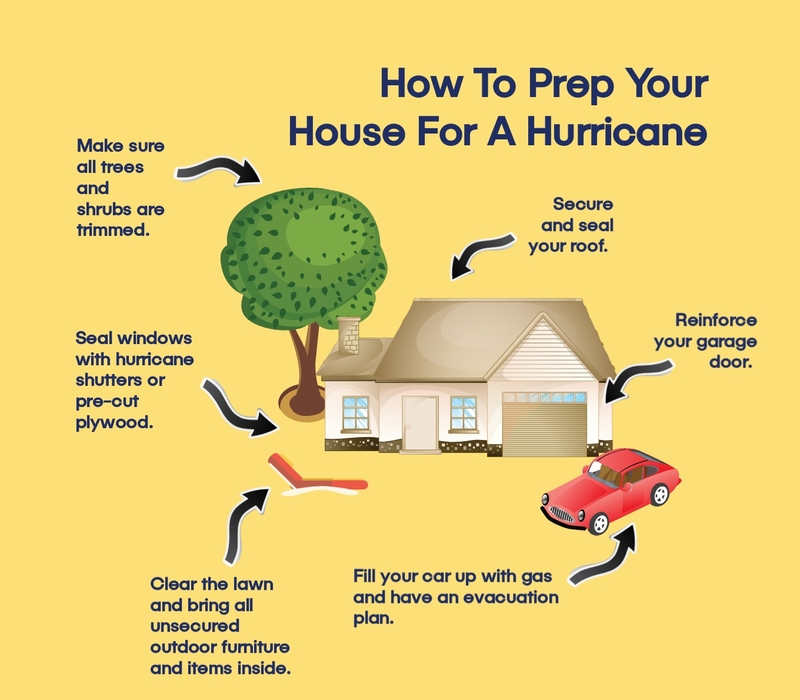 This may be an important factor to you, especially if you live far away from a city or town. Talk to the locals for a better idea of what life is like, and check out the community center, if there is one. Crime rates: Generally, families want to avoid areas with a high crime rate, but the safety level of a neighborhood may not be immediately apparent. Visit the neighborhood’s local police station for more information. Property tax rates: The price of a home is one thing, but the property tax rates can make or break the decision to live in a certain neighborhood. Cost of living: Finally, take into account the cost of living in a certain neighborhood: are the amenities priced higher than you’re accustomed to? If the cost of living there doesn’t fit into your budget, you may want to consider a different area. Congratulations! You’ve made your choice of which neighborhoods you could live in, and may have even found your dream home. If you have already checked out the neighborhood, that’s a great start. 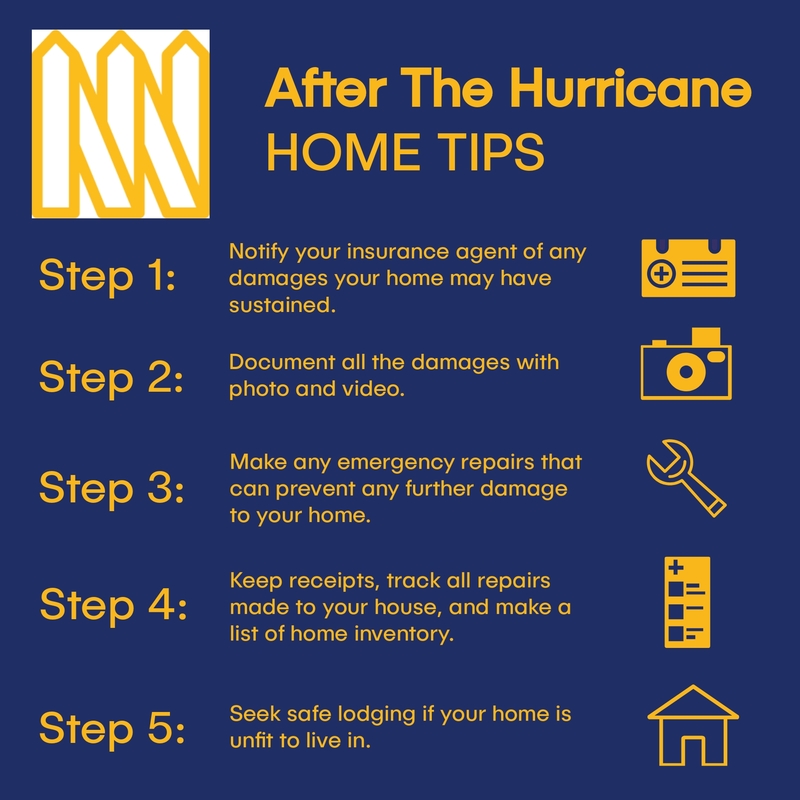 But before you move, you may want to get to know your new home a little better. Here are some tasks you may want to accomplish before move-in day. Walk or drive around the area to get a feel for it. If you have kids, visit schools, libraries and playgrounds. Talk to people in the area, maybe even your new future neighbors. Visit a local shop or restaurant to get an idea of what life can be like. Use local public transportation, especially if you’re going to be using it regularly. While you’re getting used to your new neighborhood, ask yourself: Will I be happy here? Ultimately, trust your gut: your level of happiness while spending time in a certain area may be a good barometer for how you may feel when you live there! 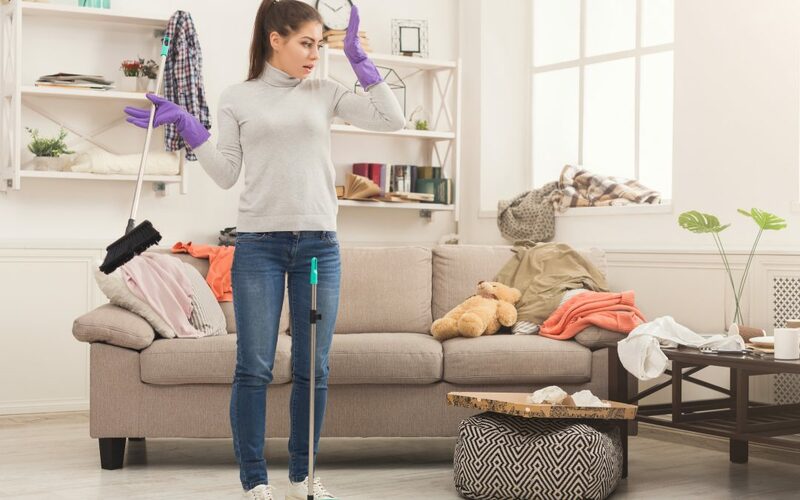 Getting a child to clean their room isn’t easy, and as your kid begins collecting an increasingly large collection of toys, stuffed animals, art supplies, and clothes, you may find yourself at a loss for how to keep it all neat and tidy for more than a day. You can only buy so many bins and crates before you run out of space. So if you’re a parent who’s running out of storage ideas, here are a few easy DIY projects to help you organize that mess! You can give those large coffee canisters a second life with just a pair of scissors, some colored paper, glue or tape, and some markers. Cover up the label with paper and create a whole new container. These can be used to store items like crayons, Matchbox cars, doll clothes, legos, and so much more! This is a pretty easy DIY project that can be done with your child. Whether your child has a set of Legos or a crate full of them, you can easily use a few to make a desk organizer of any size. Assemble the Legos in the shape of a pen cup and seal the pieces together with super glue. Get creative and ask for their help to come up with fun, colorful designs with the pieces! Do you have old, rusty planters you don’t have a use for, and that are just gathering dust in your garage? If so, you’re in luck. You can easily repair, paint, and hang them on your child’s walls for easy storage space. Put your kid’s stuffed toys in them, so they’re always in view and easily reachable. Did you know that old quilts can make great bedside storage spaces in just a few steps? Fold a quarter of the quilt over, length-wise, and sew along the crease. Then, sew over the folded part of the quilt vertically to form pockets. Tuck the loose half of the quilt under your child’s bed and you have the perfect place to store books and other knick knacks they like to play with before their bedtime. Whether your child’s closet is on the smaller side or if it’s entirely non-existent, this storage hack can make hanging clothes a possibility. With two pieces of ribbon, hooks, and a fake tree branch (you may find these at a crafts store), create a hanging rack that’s not just functional, but aesthetically pleasing, too. While chalkboard paint may not be a storage hack, it can help you label existing bins, boxes, hooks, and shelves more easily. If you’re feeling particularly creative, apply the chalkboard paint to a hard surface that you can then frame for a fancy touch. A corkboard, a clothesline, thumbtacks, and clothespins may be exactly what you’re looking for. If you’re a parent who has no clue what to do with your kid’s artwork (and if your fridge is running out of space), a small investment in these craft items can solve the problem. String the clothesline across the cork board and hang up those works of art that you’re so proud of! Use shoe hangers with plastic pockets to create extra storage solutions for your child’s toys. These hangers fit snuggly behind doors, and can hold any number of items, from dolls to toy cars. Glue colorful milk crates together to form cubbies for toys, books, and even small bins — just don’t forget to secure the crates to the wall for safety! Screw magnetic strips to the wall for a hassle-free way to keep small, magnetic toys out of the way, yet still in plain view. That way, you’re not stepping all over them as soon as you enter your child’s room! These are just a few storage hacks and solutions you may be able make yourself, in the comfort of your own home. The possibilities are endless, but the most important part of any project is to just have fun doing them!